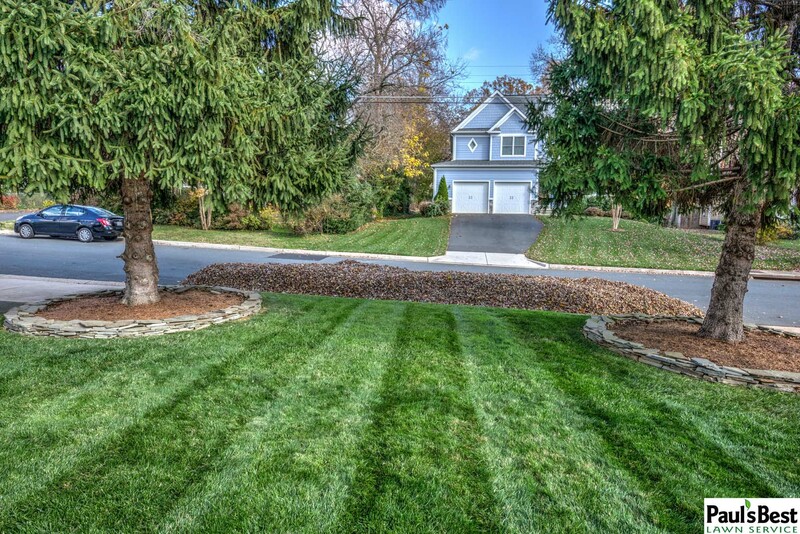 Paul's Best Lawn Service Inc. – Lawn Maintenance Company serving Arlington, McLean, Falls Church, Vienna, & Merrifield in Northern Virginia. Paul's Best mowing crew posing after cutting lawn in Arlington, VA. Mowing stripes vary in direction week to week to promote healthy turf. Long time customer with full grounds maintenance. After thoroughly cleaning up the beds and pulling weeds, the crew edged and mulched the beds with shredded hardwood mulch. After cleaning-up leaves, PBLS always mows the lawn to leave the house looking as clean as possible. 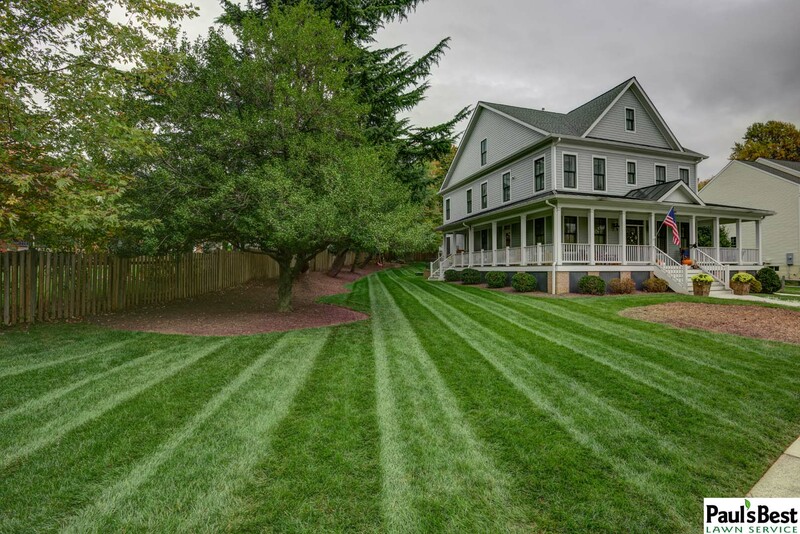 Mowing and Environmentally Friendly Turf Program in Vienna VA.
Mowing Crew in Arlington VA.
Sodding and Mulching in Arlington VA.
For over 35 years Paul’s Best Lawn Service, Inc. has emerged in Northern Virginia as one of the premiere residential lawn and landscape contractors. 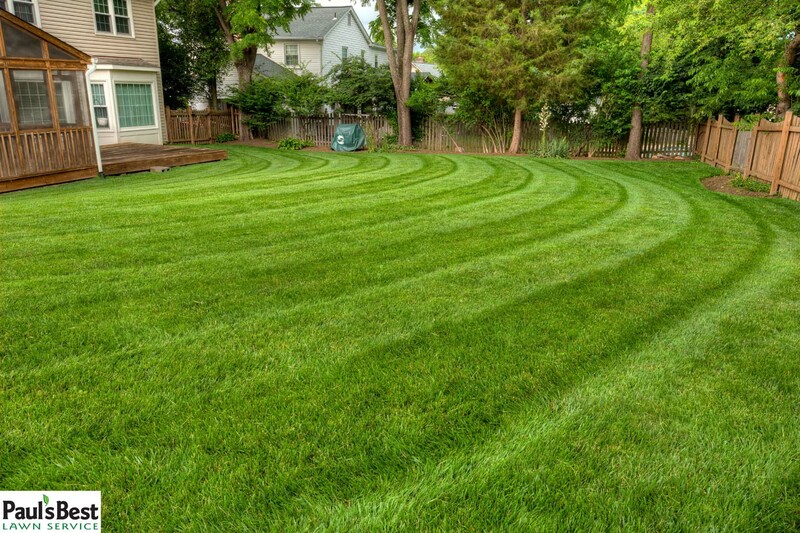 With an established track record comprised of hundreds of highly satisfied customers, Paul’s Best Lawn Service offers unrivaled excellence in grounds maintenance by addressing the individual property needs of our clients. 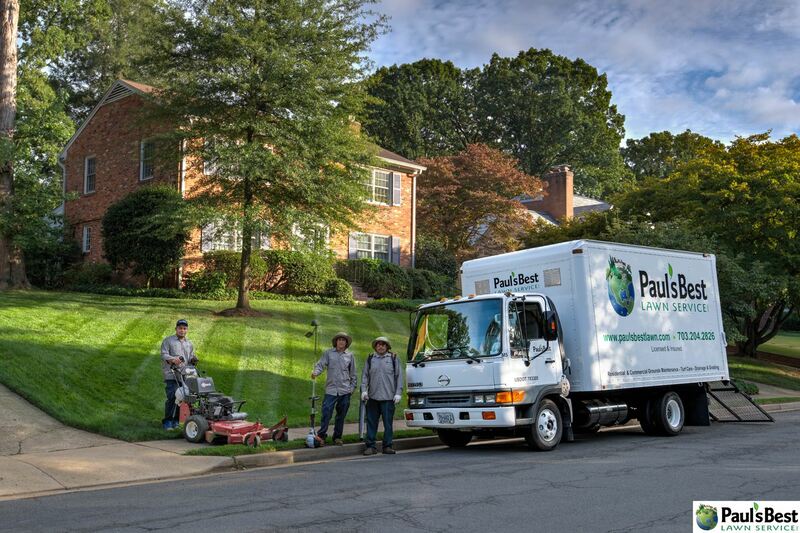 In a perpetually changing industry, Paul’s Best Lawn Service works tirelessly to implement the most modern and sustainable industry methods as to ensure that we provide the BEST possible all around service to each client. Our team approach and commitment to long-term client satisfaction is our guarantee. Here at Paul’s Best Lawn Service, we listen carefully to our clients to fully understand their individual needs. After 35 years, we’ve learned a lot about which lawn service practices work and which ones don’t when it comes to maintaining one of your most valuable assets. Understanding the physical environment in a property combined with years of proven service practices, we’ve developed the "Paul’s Best Service Protocols”. 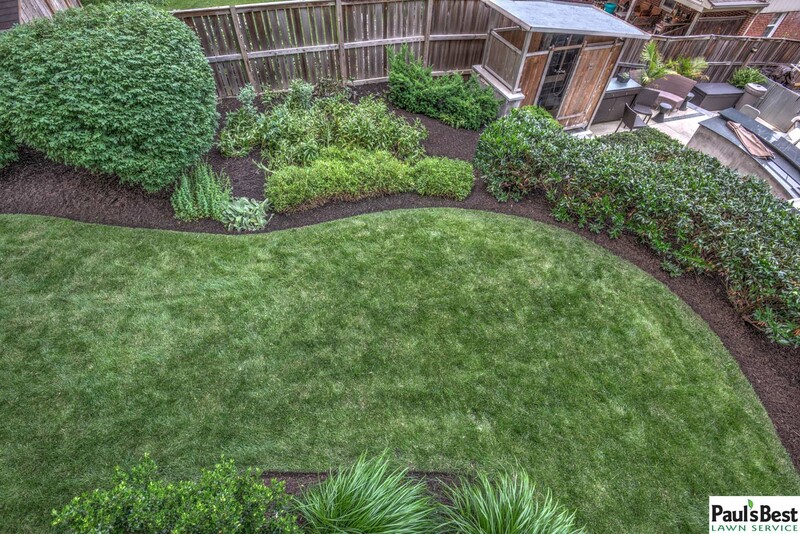 We prioritize plant health and efficient practices that result in an unequaled aesthetics of your lawn and grounds. We pride ourselves on our highly trained staff to assess your home’s lawn and property to provide the high standard of service that is necessary to achieve maximum curb appeal. With our full range of grounds maintenance services, we tailor your individual service package to balance your needs and wants in the way that best fits your budget. We value your opinion. We never stop working improve our level of service. Many clients use Angie’s List and Google to assess whether we’re doing a good job keeping our valued customers like you happy. Please visit angieslist.com and google.com in order see what our clients say about our work. Paul's Best Lawn Service is a proud recipient of this prestigious award for excellent customer service. Members are committed to the highest standards in industry education, best practices, and business professionalism.